Comfort. Good food. A laid-back lifestyle. The option to not wear footwear (ever). Who wouldn't want to be a hobbit? Ever since I became a Tolkien fan more than a decade ago, I found myself identifying with the “little folk” the most. The ones with chubby cheeks and broad smiles who would rather tell jokes and smoke pipe weed than worry about world politics or corporate jobs. 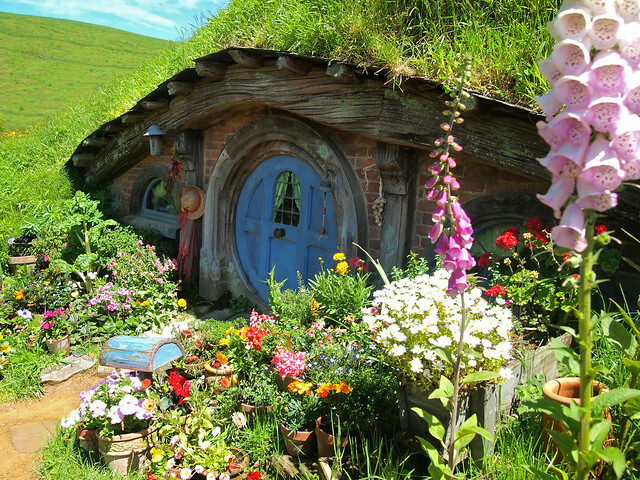 I could totally picture myself living happily ever after in a place like Hobbiton. 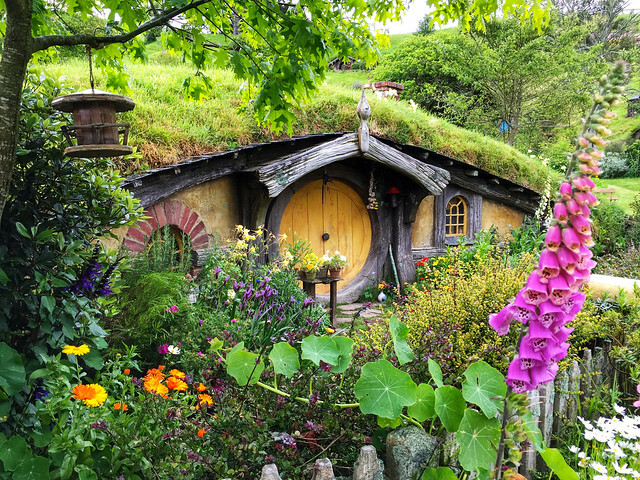 IF a place like Hobbiton could ever exist. Well guess what? 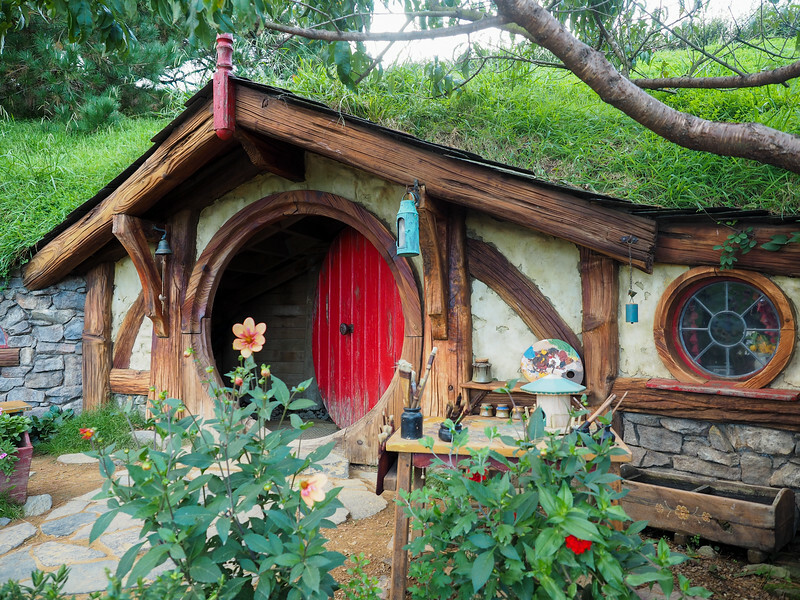 It DOES exist — at least, the movie set does in New Zealand. In the tiny farming community of Matamata, a booming tourism business has sprung up around what was (and still is) a large sheep farm stretching across rolling green hills in New Zealand's Waikato district. 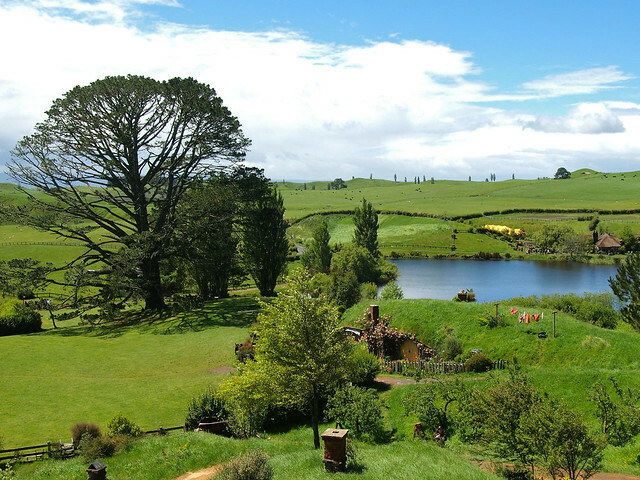 Years ago, a “Lord of the Rings” location scout flew over the Alexander family farm in search of a large tree beside a lake. What he found was the ideal location for filming the whole of the Shire. The story goes that the scout landed his helicopter and went up to the farm house in order to inquire about possibly using the land in a movie. Mr. Alexander informed the scout that the rugby was on, and asked him to come back later. When the set was built for the “Lord of the Rings” trilogy, it was mostly made of polystyrene and other non-permanent materials — meaning, once filming was done, the set was (for the most part) completely torn down. But the tourists still trickled in, eager to set eyes upon Hobbiton even if there was nothing left. 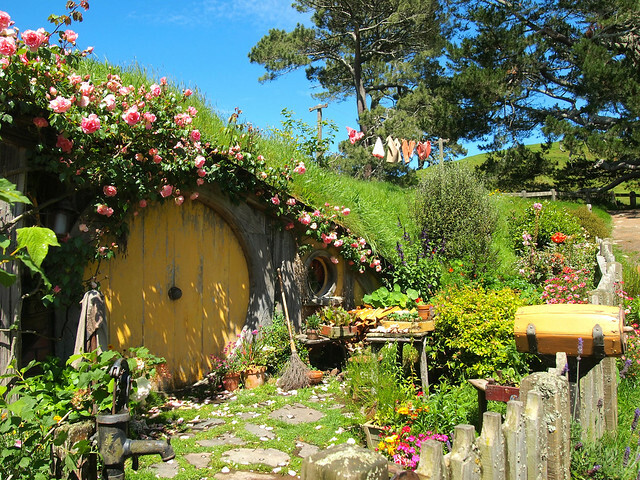 So, when Peter Jackson decided to use the Alexander farm again for the “Hobbit” trilogy, the family agreed on one condition — that they build the set out of permanent materials this time so that the tourists could REALLY come to visit Hobbiton after filming was over. Long story short: everyone agreed that it would be an awesome idea. Which is why today you can really visit Hobbiton. 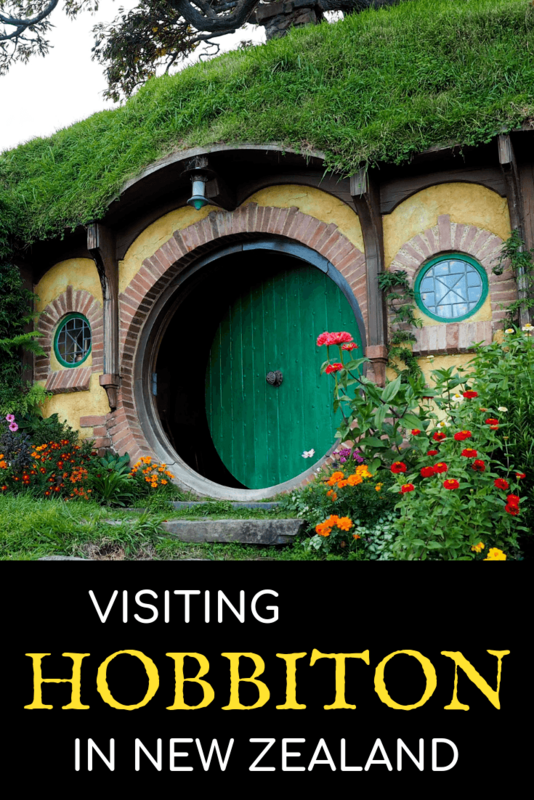 The site has become a must-do for many travelers to New Zealand, so here are a few tips for your visit to Hobbiton. The Alexander farm almost has its own micro-climate. Weather can blow in and out faster than you ever thought possible — what looks like a calm, sunny day at first can quickly turn into a gale with sideways rain. 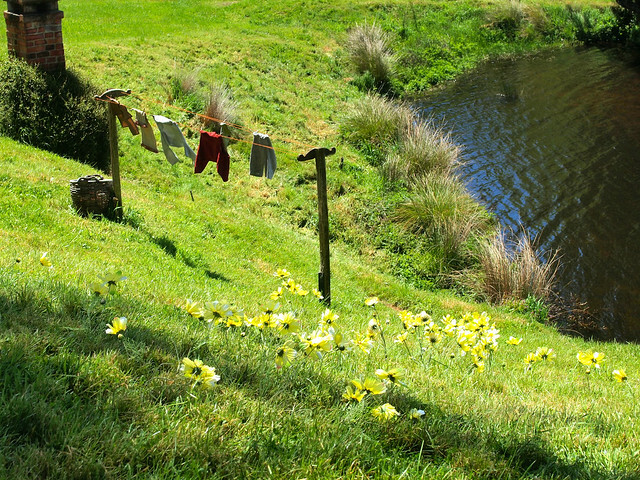 When I arrived at Hobbiton this time around, the sun was shining. As soon as we got onto the set, however, it started pouring. But by the time we made it up to Bag End, the sun was out and the sky was blue again. My tip? Wear layers, and grab an umbrella at the start of the tour if there's ANY chance of rain at all! 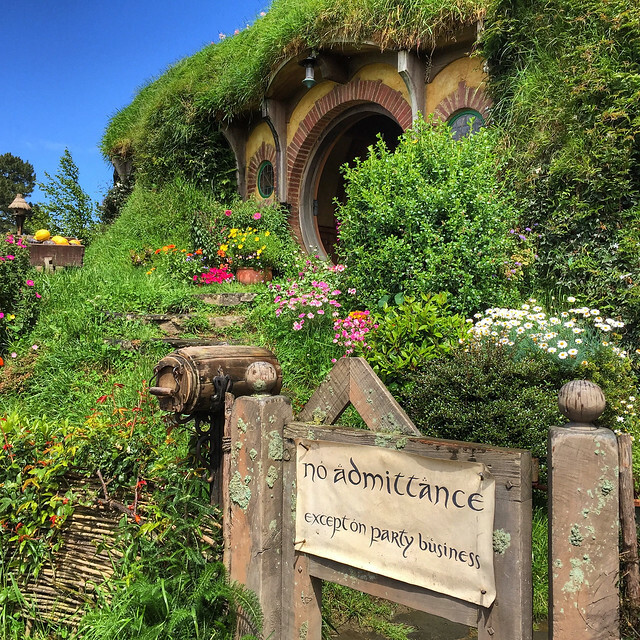 Hobbiton is the only full movie set left in-tact in New Zealand, and it draws all sorts of people — even people who aren't fans of the films. 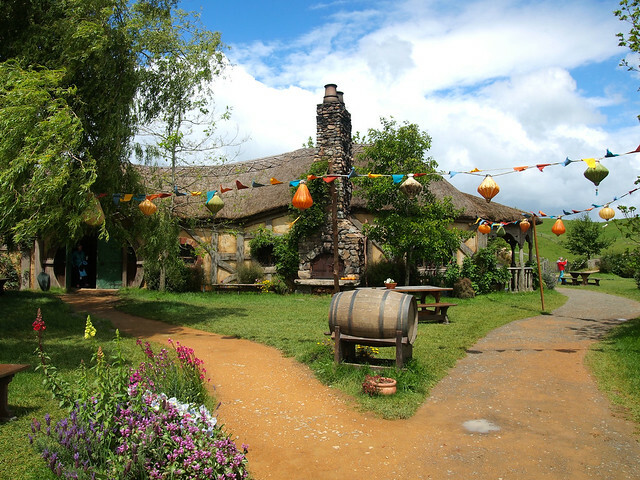 You cannot roam around Hobbiton on your own; you have to book a tour and follow a Hobbiton guide through the set. During high season, it CAN get crowded, so don't automatically assume that it will be easy to snap photos without any people in them! They do limit how many people can go on each tour (so it IS important to book ahead! ), but they can accommodate a lot of people in each tour group. 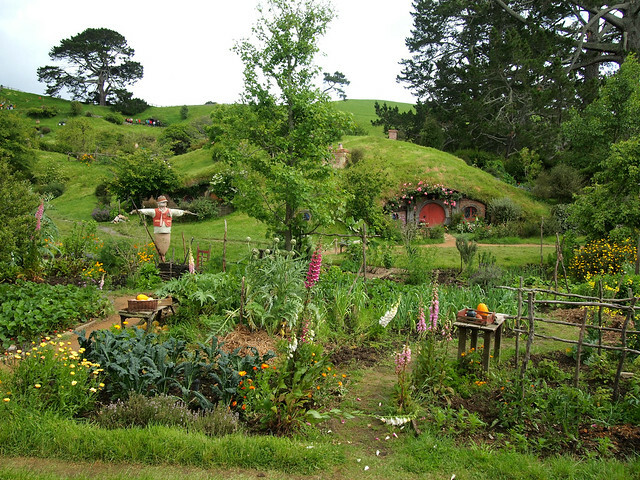 But being in Hobbiton was so magical that I was able to overlook all the other tourists! Even though the hobbit holes here are just facades (the interior sets were all shot on a sound stage in Wellington), the details here are INCREDIBLE. Laundry lines with washing hung out to dry. A picnic set up on the dock. Moss and lichen growing on the fences. Brooms and gardening tools near hobbit doors. 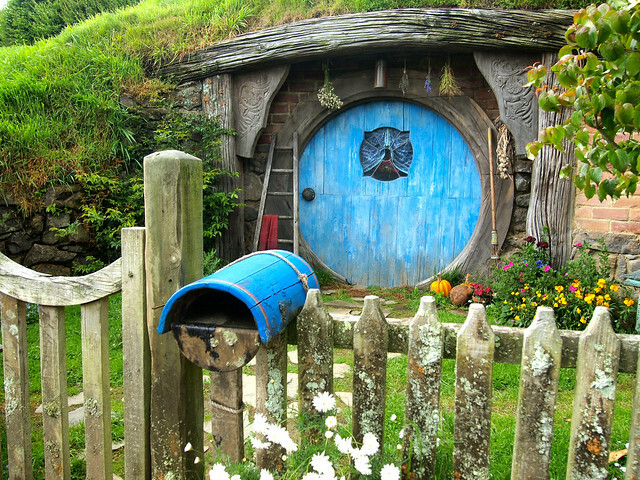 Even the mailboxes are hand-painted (and reflect the occupation of the hobbit who calls that hole home!). Spend some time looking and you'll catch lots of adorable details. If you go in the spring/summer, the gardens crew has the place looking beautiful, with all sorts of colorful plants and flowers growing. My favorite, though? All the signs on notice boards and inside the Green Dragon! 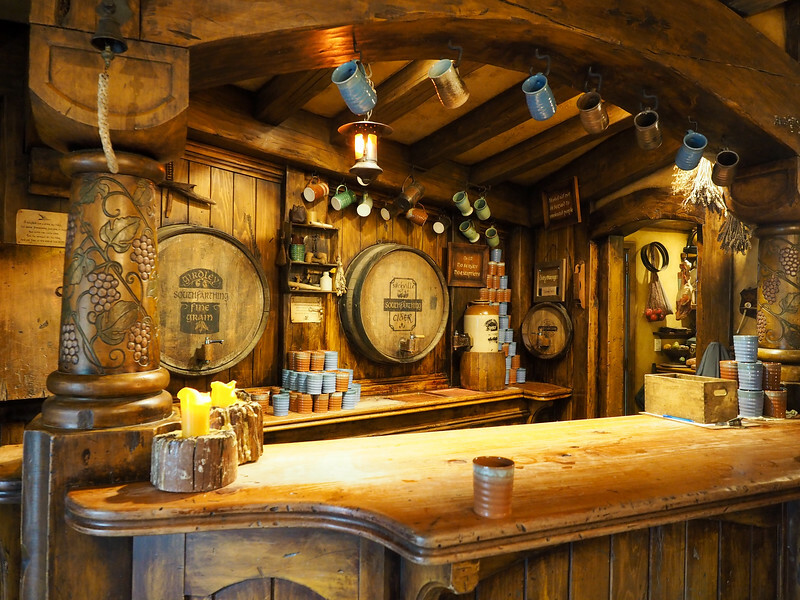 Speaking of the Green Dragon, you can actually go inside and have a pint at the hobbits' favorite pub at the end of your tour. There are specially-brewed beers here (and a non-alcoholic ginger beer) — and yes, it comes in pints! 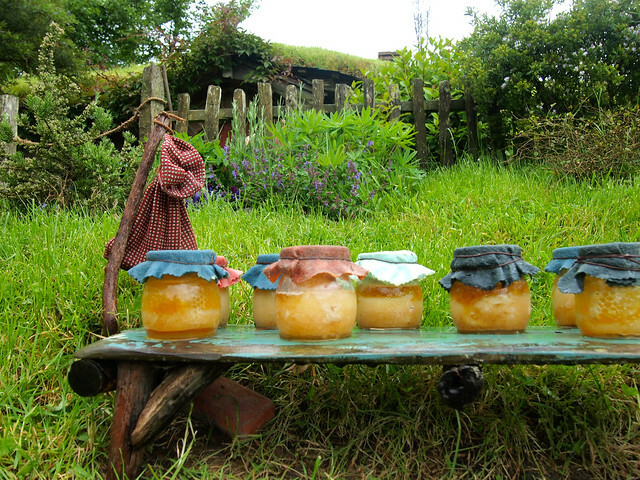 If you want to take your Hobbiton experience up a notch, consider booking yourself on an Evening Banquet Tour. 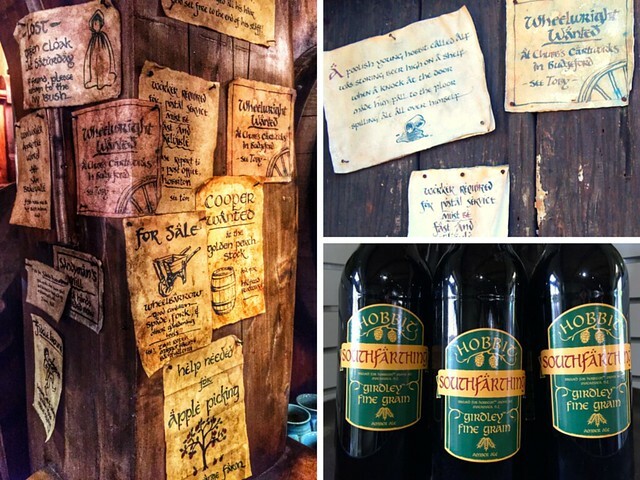 These tours take place only a couple times per week, and include not only an evening/sunset tour of the Hobbiton set, but also a multi-course hobbit-inspired feast inside the Green Dragon. 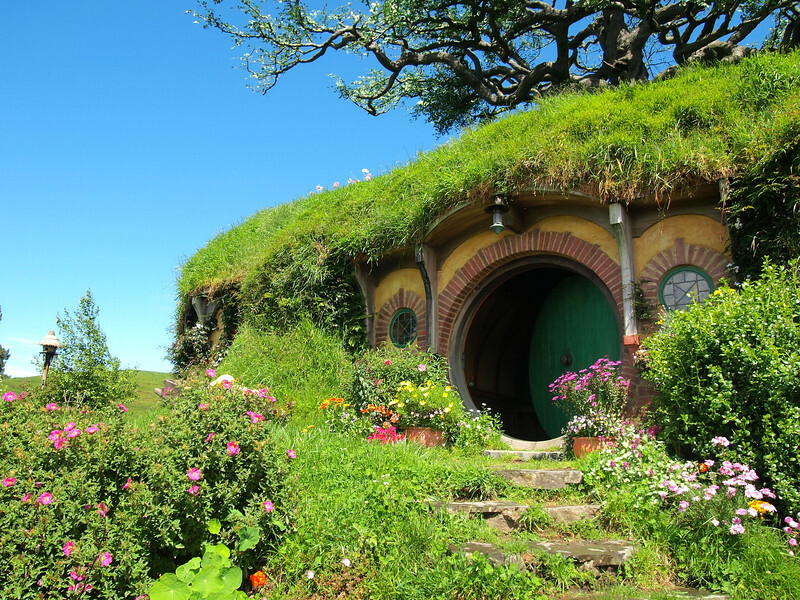 This is the ultimate experience for any wannabe hobbit! 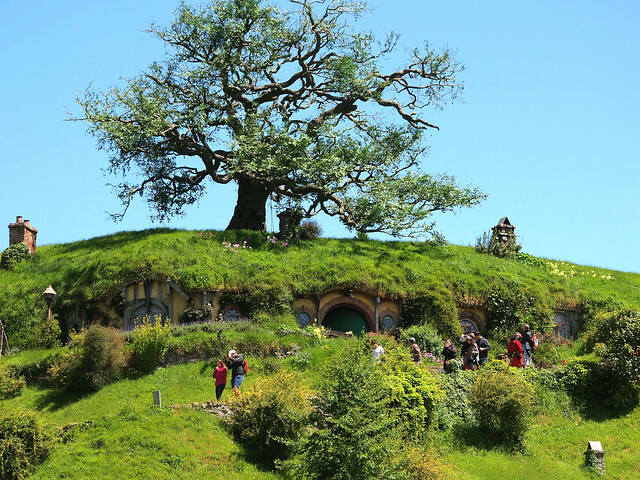 If you have a car and can get to Matamata yourself, you can book a tour directly with the farm, Hobbiton Movie Set Tours, which leave frequently from the farm's office/gift shop, the Shire's Rest. 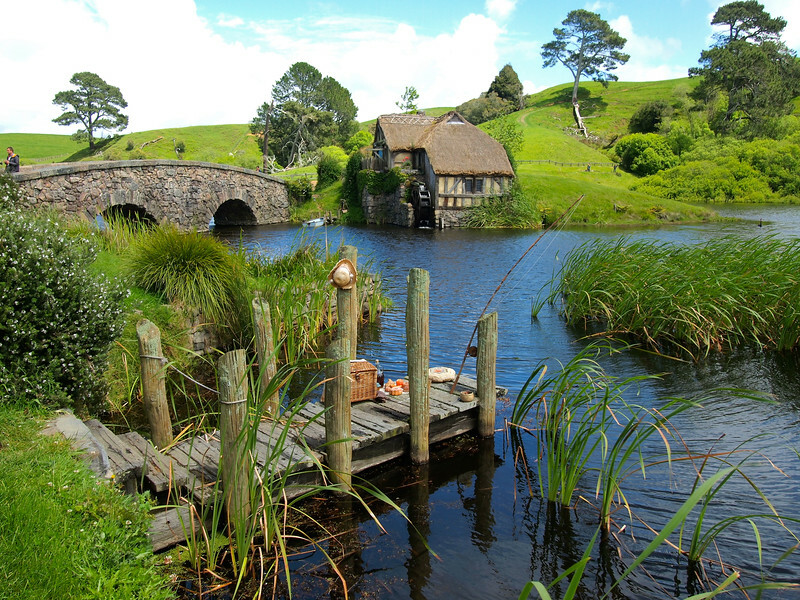 If you don't have a car, you can also book a Hobbiton day tour from Auckland. And if you're staying in Rotorua, you can book the Evening Banquet Tour with transport here. Who's ready to go to Hobbiton now?? I felt the exact same way! The amount of people didn’t really bother me at all because it was such an amazing place and a really unique experience! I had visited previously, before it was rebuilt – it’s so much more incredible now! Looks sooo awesome! I’m not even a die hard Hobbit fan but i would love to go. Were you able to get a peak inside the homes at all? It’s a fun place, even if you’re not really a fan! There’s not much inside the houses (they’re just fronts, really), but sometimes they’ll open up a door so you can stand inside it and pretend you live there! Haha. I am nerding out right now. 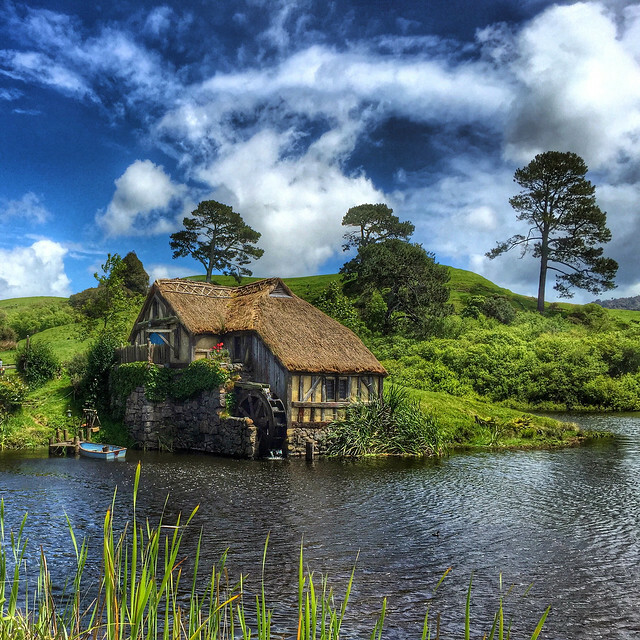 Hobbiton looks INCREDIBLE. All those details. Didya spot any hobbits? ;). Yes, I’m really glad that they worked it out to be permanent this time. It really is amazing, and such a unique place to be able to visit! Definitely a must-do in New Zealand! that’s all so cute. I would probably try to move in there and never leave! Haha, I definitely considered it! You can be sure I’m adding this to my places I *have* to visit! This is every Tolkien-fan’s dream. Actually, scratch that. 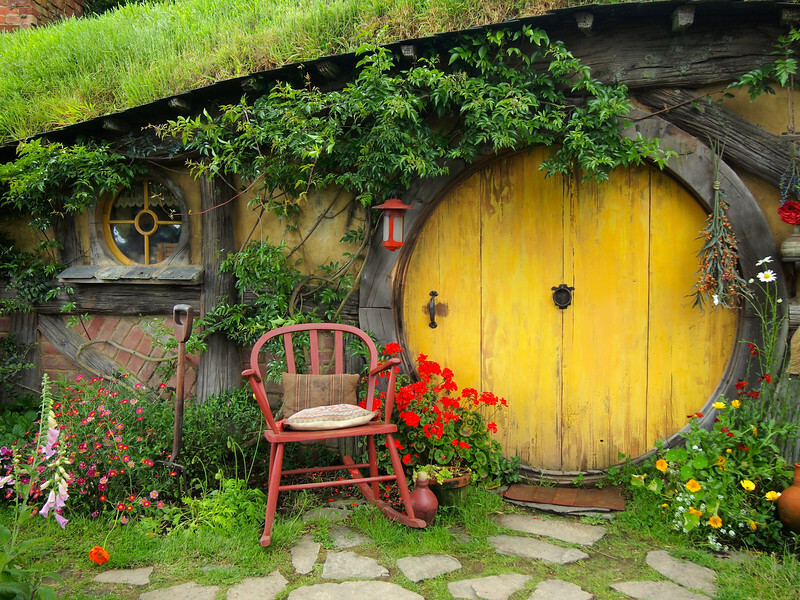 The ultimate dream would be to live in Hobbiton, but I guess we can settle for such a gorgeous set. Haha, yes, I guess we’ll have to settle for just visiting! I’m with you, though – if I could live there, I totally would want to! This is amazing. These pics really made me crazy and i love to visit this place. Seriously beautiful photos! It’s been 5 years since I was in NZ and I’d love to go back – especially after seeing your posts and photos! New Zealand for me is like Africa for you – no matter how many times I’ve been, I always want to go back! I literally just got back to the US today, and I already miss it. 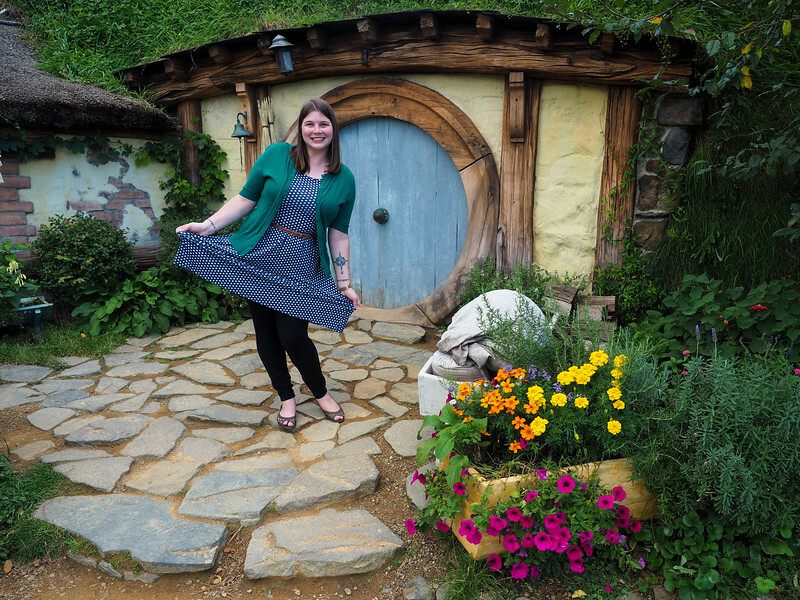 Going to the re-built Hobbiton this time around was definitely a highlight! Definitely a must-visit in New Zealand! 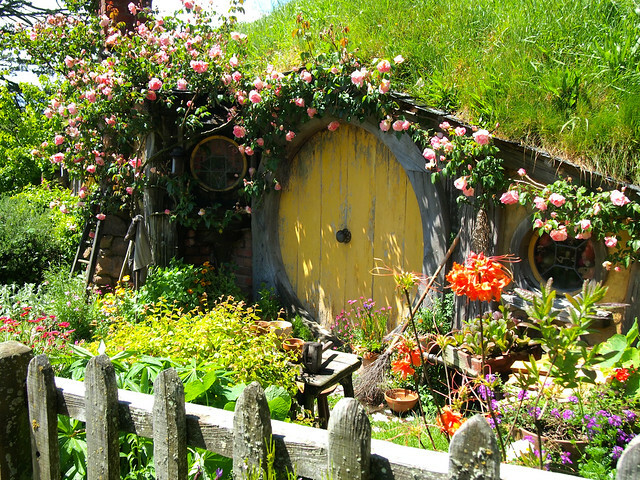 Ugh, I would LOVE to visit Hobbiton. I’m insanely jealous. I love how they managed to keep all the details. The details are INSANE. There’s so much hidden in little corners – like a picnic laid out on a dock, a few empty bottles set on a little table in a field, and all the lines of laundry. I LOVED it – would definitely go again! It’s sooooo adorable and detailed! I was really tempted to hide out in one of the hobbit holes and never leave! This is so incredible. 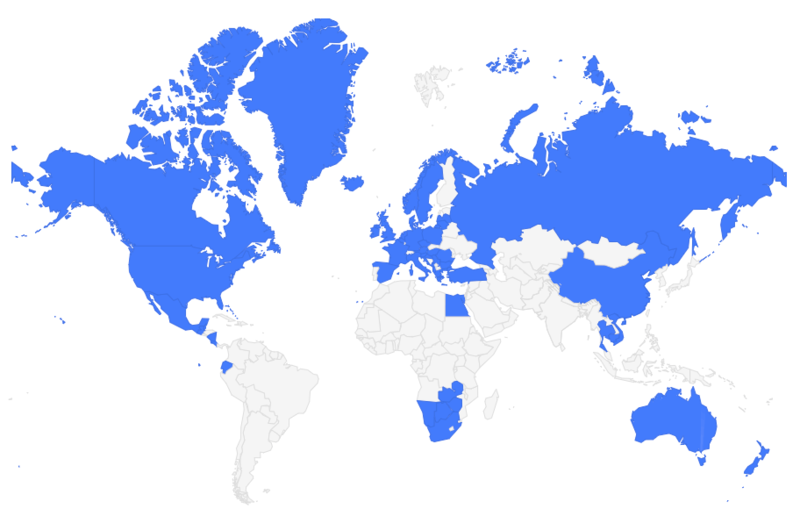 New Zealand, and Hobbition in particular, are high on my travel list. I’m hoping to make it before the end of 2015, but we’ll see! I’m so happy you got to go, and it’s obvious you enjoyed yourself! Yes, LOVED it! New Zealand is just all-around amazing. Stay tuned, because there’s plenty more NZ content to come! Looking forward to reading it! Adding your blog to my feedly. Yay for Hobbiton!! I’m just asking myself HOW I didn’t know about this? Thanks for informing me so wonderfully. Love love love your blog. Haha, you are most welcome!! And, don’t worry – it’s rather new; it didn’t exist like this until they re-built the set for the “Hobbit” movies a few years ago! Very neat tour! They made a beautiful and green area, and you can’t even tell it’s crowded! Thanks for sharing! The gardening crew here is magic! I was there in November, which is a great time to go to see everything in bloom (November is late spring in NZ!). It’s a good time to go in general – before the summer tourist season sets in, but generally still pretty mild weather-wise. Thank you for the great review! We’re going in mid-April and driving from Auckland to Matamata. I will be there on my birthday! Is there anything else around the set or on the North Island that is LoTR related that shouldn’t be missed?